How to use these sources depends upon what you need to know and include and how thorough you plan to be in your research. If all you require is some basic factual information or say an image of a llama dressed as a bride, it's much easier to find and access than would be an in-depth piece of academic research on the control of a specific hormone in domesticated llamas. Consultation of Wikipedia or a Google search of the WWW may satisfy your needs but for the latter purpose you would need to consult all relevant, reliable, material whatever its format, date or language of publication, etc. This would necessitate a thorough literature review including an examination of the contents of many of the sources mentioned in the paragraphs which follow. This might well also include material that was not just llama specific but wider aspects of mammal physiology, endocrinology, etc. As yet, there is no single definitive source of information on llamas, irrespective of format, date/place of publication, level of scholarship, location, language, etc. This is something I hope to rectify via this website and have made a start on creating a virtual catalogue of information on llamas both on the WWW and otherwise (click here) backed up by a virtual library of digitized publications freely available via the WWW (click here). The next best thing for identifying scholarly material is possibly via the library catalogues of some of the largest specialist libraries such as the US National Library of Medicine. Meanwhile, you can search different sources listed below and restricted to particular types, (format, date, country of origin, etc.) separately and pull the information together to compile your own bibliography on your chosen subject. For Books, again there is no definitive source of all books published in the English language, let alone world wide. However, you can trace books by country of publication such as the British National Bibliography. Off-line there are printed bibliographies of books such as the Cumulative Book Index which attempts to cover such publications, world wide, written in the English language. Google Books, provides a useful, searchable, database of books listed on the internet picked up by its own search engine. It also allows the user to build their own on-line library they can access from anywhere with internet access. However, it is by no means comprehensive. For Articles, again no definitive source but there are indexes to sets of journals and magazines, usually around a particular subject area, such as those listed here. Off-line indexes are many, a listing of which can be found here. Google Scholar provides a useful bibliography of articles found on the WWW via its search engine but again is highly selective. It too offers the facility for the user to build their own library of articles of interest. Most of these listings are of academic articles. It is far more difficult to identify articles from popular magazines, including the specialist llama press such as Llama Link. 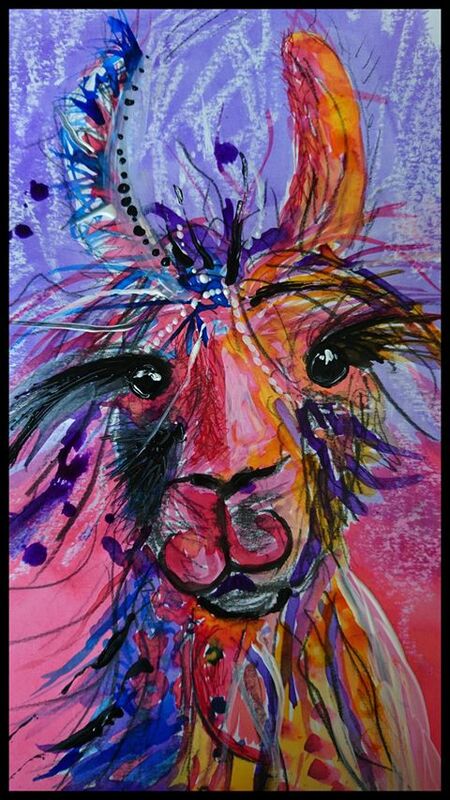 There are two on-line, digital llama magazine Llama Life and Backcountry. Recent articles from newspapers are relatively easy to find via search engines on the publisher's website. I have attempted to provide something of use (click) here. For Films and Videos, there are several sources but very few have any llama content. You Tube hosts material on llamas in various contexts (surgery, training, etc.) although the quality and reliability of those on this social networking sites are very variable. It has its own search engine. For CDs and DVDs. Although I know of several CDs and DVDs on llama related matters such as training and audio books of the children's literature, etc. I am yet to find a single comprehensive database covering these. Some of the large libraries hold copies of these and location can be found on World Cat, etc. (see here) If anyone out there in cyberspace can advise me please get in touch. For University theses, those presented at doctoral level in the UK can be identified via Ethos or in the US via Proquest . Lesser degree theses and dissertations on camelids can be found via the university libraries supporting research in veterinary science and medicine such as in the UK, Bristol, Cambridge, Liverpool, etc. For Websites and web pages (including Facebook sites), I used a number of search engines such as Google and used Delicious to log or bookmark all such sources I found. Individual entries are listed in a scrolling window as and when they appear on this website (Click here) The database can then be searched using bundles, key words and free text. For Images on the World Wide Web, I have used Pinterest to collect them and organised them into subject areas in accordance with the classification scheme I devised and shown below. Often they are hyperlinked to the page/source of origin. Many of you will want to consult the sources you have identified as potentially useful. Fortunately, these days, many of the items are accessible in digitized format via the internet, although this isn't the case with everything. Even if they are, there may be charges involved and it may be cheaper to consult a hard copy version at a local library. For Books, the national libraries such as the British Library and Library of Congress usually hold copies of major texts. Their holding can be consulted on-line via their catalogues hyperlinked on the Guide to Sources page. The British Library also has a lending division from which copies can usually be obtained via the Inter-Library Loan service and your local library. Some countries have union catalogues listing alternative locations of items. The National Union Catalog (NUC) is a record of publications held in more than eleven hundred libraries in the United States and Canada, including the Library of Congress. If you are part of the academic community in the UK, the reader may find COPAC helpful which is a union catalogue of the main university libraries in the UK. This will give all locations for a particular book held at one or more of the cooperating institutions/libraries. Increasingly, of course, electronic or digital versions of books are available and many of these have been made available (free or by payment) on the WWW. Google Books and Amazon provides information for those wishing to purchase copies of titles held in their databases. Re. Journal articles. again there are many academic articles now accessible, free or otherwise, in digital format on the WWW. Some of the above mentioned indexes have hyperlinks to digital versions that can be consulted on-line and/or downloaded to your local machine. Most publishers nowadays offer the facility to search their own titles for individual articles along author/subject/issue lines and download digital versions at cost. An example is Elsevier which published many scientific journals. To locate hard copies of journals to consult there are numerous union catalogues (eg. British Union Catalogue of Periodicals) which give library locations for the many titles included. My hope is that the British Llama Society will permit digitization of back issues of Llama Link and make these accessible on-line. Re. University Theses. Digital version are increasingly available and downloadable in PDF format via the above mentioned listings of academic theses. Below I have developed a Classification Scheme to help organise the links to the 'internet information' so far collected and assist researchers locate the information they need. This will be used to structure the contents of both the virtual catalogue to and virtual library of material on llamas and llama related topics (see above).